On September 15, 2018, a great friend and colleague, Tom Cross, will be honored with the Distinguished Citizen’s Award by Three Fires Council of the Boy Scouts of America. Each year, Three Fires Council recognizes an individual who has unselfishly dedicated themselves to community service, with special interest in the welfare and development of youth. Tom, deservedly, is this year’s award recipient. Tom has served as an elected official in the Illinois House of Representatives, 97th Illinois Legislative District, from 1993 to 2014. The 97th includes portions of Kendall, Will, and DuPage Counties. In 2003, Tom was elected to serve as the House Republican Leader, apposition he held until 2014. 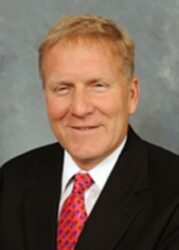 Today, Tom continues to contribute to the community by serving as Chairperson of the Board for the Illinois Board of Higher Education, Chairperson for the State Universities Retirement System and also by serving as Executive Director for the Institute on Collaboration at Aurora University. The Award Gala will be at the Illinois Aviation Academy, West Chicago, Illinois on September 15, 2018. It would be great if you could join us in honoring Tom the evening of September 15th. If interested in attending, please contact Robert Sinda at the Three Fires Council Volunteer Service Center to RSVP. He can be reached at 630 797-4620 or by email at robert.sinda@scouting.org.